Maths Week Scotland starts on the 11th September and we cannot wait to hear about all the fantastic activities that will be going on in Argyll and Bute! Have a look at SALi for some great ideas that you can be using in your classrooms and don’t forget to send your ‘How Many?’ selfies in to activeinlearning@argyll-bute.gov.uk. Why not tweet about it as well using #MathsWeekScot? There is also a competition running on Sumdog and all our schools still have their full subscription so test those numeracy skills and win some prizes! Most of all – have fun! Lochdonhead Primary School was selected as the Regional Winner 2017 in the Better Energy School Awards. The school have won a cheque for £500.00 “Congratulations to the pupils and staff of Lochdonhead Primary School – what an ambitious project you have embarked upon and you have adopted an extremely professional approach. 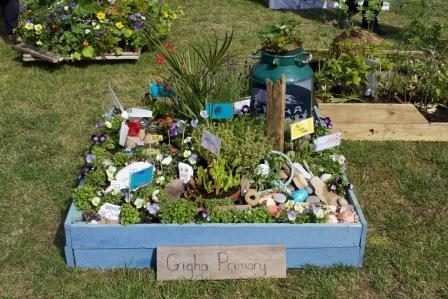 We were very impressed by the way you have sought detailed information and knowledge from experts and the way that you have involved your community in the development of your nature trail. 12th – 16th June was a very busy time at Achaleven Primary! 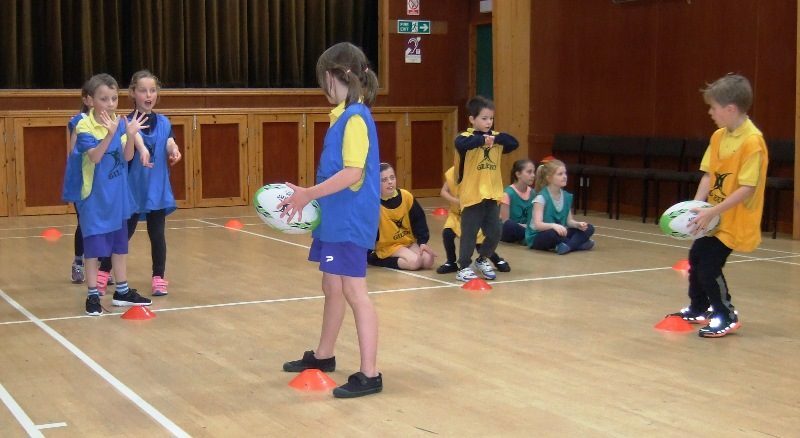 We packed in a lot in a short space of time starting with tag rugby with Allan and Ellie who put us through our paces, kept us active and we worked together well to achieve great results. We planned a trip to Glen Nant for the Wednesday so this involved creating a risk assessment. DUNOON GRAMMAR NEEDS YOUR HELP! A team of pupils from Dunoon Grammar School is calling for help from members of the public after being shortlisted for the People’s Choice Award at this year’s Apps for Good UK finals. The youngsters beat of stiff competition from over 25,000 young people, from 1,250 establishments, to reach the final 10 with their innovative SafeStep idea. However, in order to win, the team needs members of the public to vote for them. 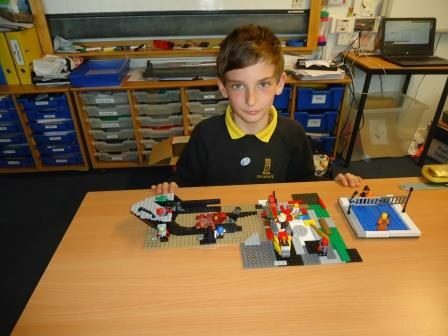 It’s all swings and roundabouts in Primary 6 at Rhu as pupils have been designing their own Healthy Living Theme Park. The project has been a homework topic this term and children have taken the theme of a healthy, balanced lifestyle and turned it into a business venture. They have each designed their own theme park, with the emphasis on being active and eating healthy food. So gone are the burgers and coke to be replaced by smoothie bars and fruit snack shops. Park Primary in Oban has been awarded it’s 7th Green Flag by Eco School Scotland. 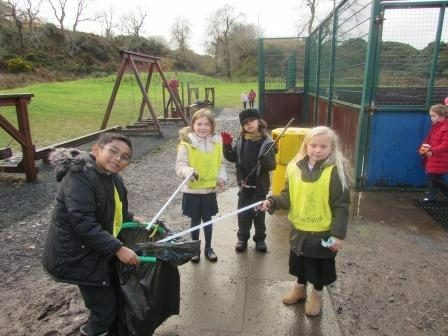 The school was warmly congratulated on it’s efforts to keep the school and neighbourhood litter free, encourage fitness activities and develop the outside space as a resource for learning and recreation. 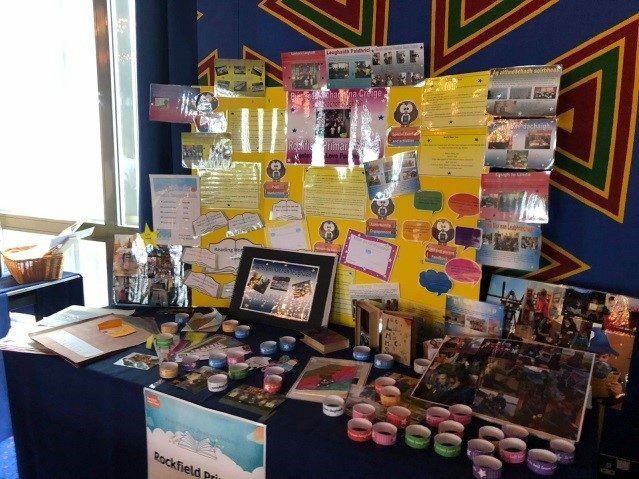 The integration of eco into the curriculum and calendar through whole school IDL work on the themes of Sustaining our World and Food and the Environment and through events like Apple Day, Earth Hour, Energy Fortnight and Fairtrade was highlighted. 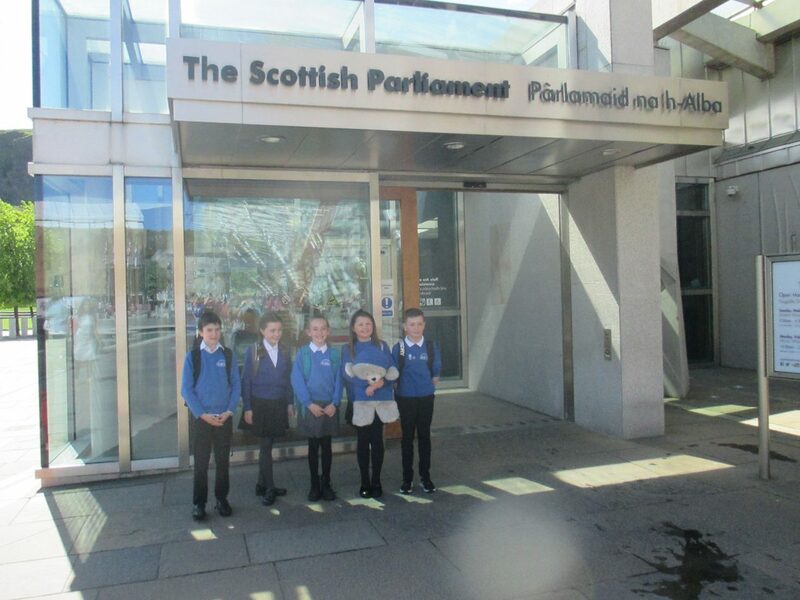 Argyll & Bute may be geographically vast but that doesn’t prevent us from making the most of connections between schools to allow pupils the opportunity to learn co-operatively. 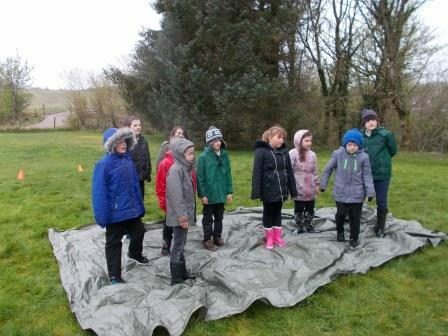 On Friday 21st April five P4 pupils from Kirn Primary School in Cowal travelled with their teacher Mr Mair to join the Minard Primary School pupils in some outdoor learning activities in Minard Primary, near Inveraray. The Minard pupils were delighted to welcome pupils from far flung Cowal to share in the outdoor learning opportunities which are on their doorstep. Full STEM Ahead at Colgrain! During Term 3 at Colgrain, the pupils from Pre-5 to P7 worked together to plan a whole school STEM topic. With the key focus of ‘developing our young workforce’, our pupils chose a variety of aspects of STEM to investigate. We worked closely with partners in the community to bring our learning to life. We welcomed Helensburgh Toyota, Royal Navy chefs, Lt. Cdr. Pinder and a number of parents to school to work with us. 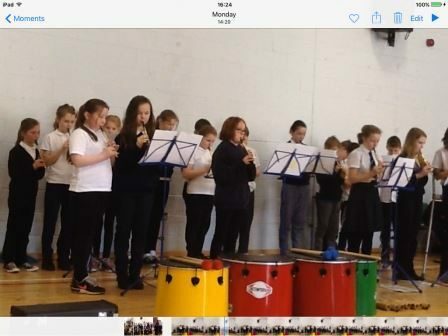 Pupils in Rockfield Primary in Oban welcomed parents, carers and friends to school recently to share with them the learning they have been doing in music. 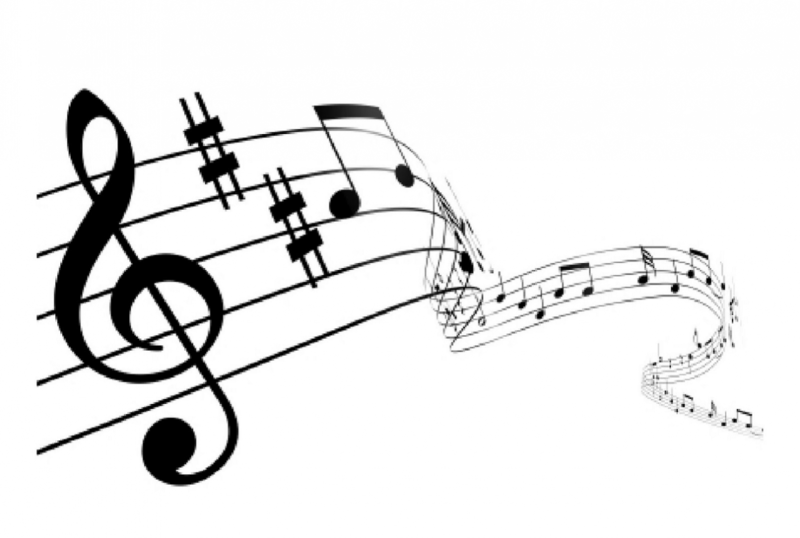 P4 and P5 pupils have been exploring the instrument families of the orchestra, with a particular focus on the piece ‘Peter and the Wolf’ by Prokofiev which uses recurring themes and specific instruments for each character. 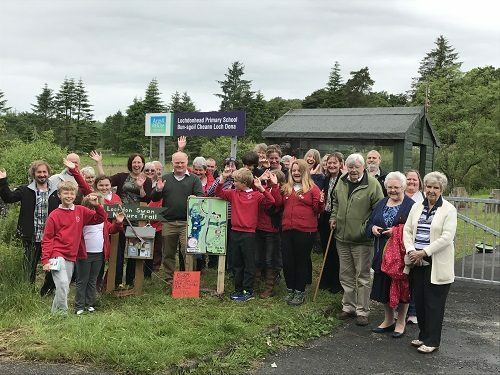 The winning entries will be printed on a calendar, produced by the Argyll OWL Group, and will be distributed throughout Argyll & Bute to promote outdoor and woodland learning. Plus win great prizes to help you enjoy the outdoors. 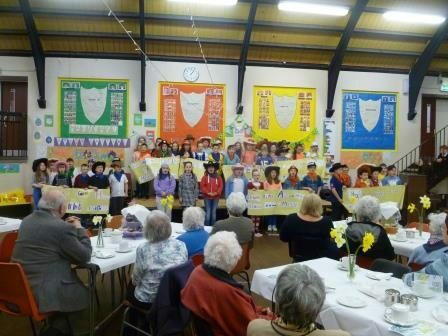 Dunoon Primary held its Annual Daffodil Tea on Thursday March 30th. Our Senior Citizens from the local community joined us for a wonderful afternoon of music, samba drumming, fiddle, chanter and singing from our choir and P4/5/6. The show was carefully presented by our terrific P7 pupils who had produced entertaining introductions for each act themselves. Pupils became teachers for the afternoon at Southend Primary. 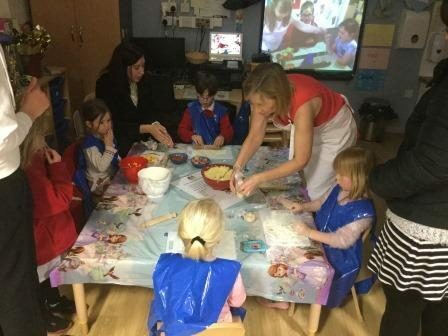 Parents, Guardians and members of the community had taster sessions on writing newspapers reports, creating Animations, making Power Points, designing Rennie McIntosh screen prints, experiencing the thinking behind BMT and having fun learning about the weather in French. 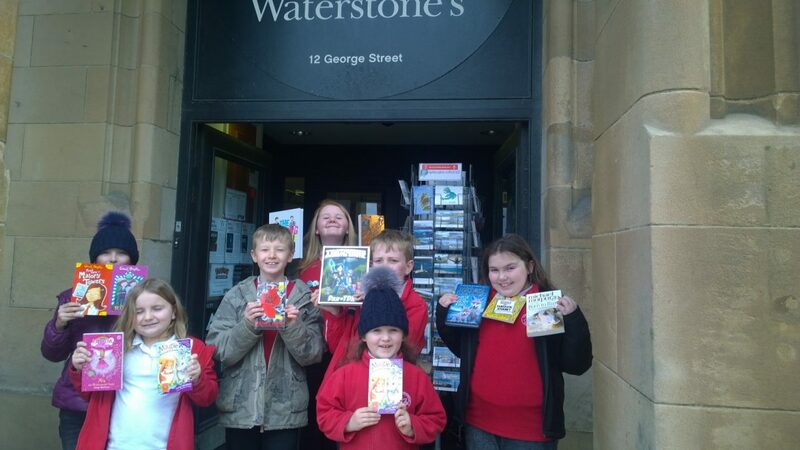 On Thursday 23rd March 2017 the pupils from Lochdonhead Primary School travelled over on the ferry to Oban to celebrate Alex’s reading for enjoyment success. She has read one million words in six months and was awarded a book of her own choice from Waterstones to celebrate. This award was generously funded by our Parent Council. This is an amazing achievement and she has read a total of 24 sizeable books to attain this. A big ‘Thank you!’ is extended to the Parent Council for funding the trip and the award. 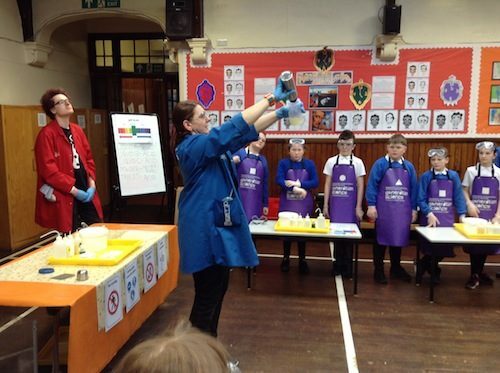 During SCIENCE WEEK we organised science workshops for all pupils exploring electricity, gravity, magnets and brain processing of information. 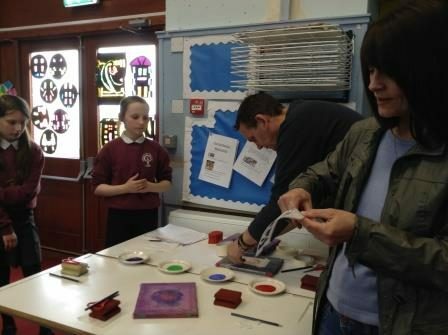 We also had experts in school who worked with our P 5-7s. Scientists from Edinburgh University and Heriot-Watt University worked with us on a Seabeasties project finding out about the beasties that live off our Scottish coasts. Pupils made nets to catch plankton and viewed findings through smartphone microscopes. 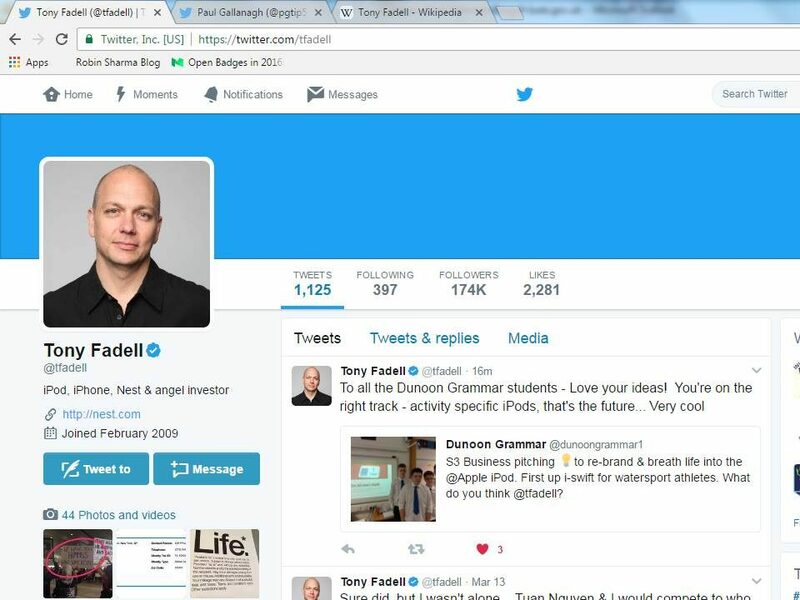 A class of S3 Business pupils at Dunoon Grammar school received a pleasant surprise last week when Tony Fadell – dubbed the Father of the iPod – tweeted words of encouragement for a learning experience the pupils were working on. The pupils studying Business were working on a creative team exercise – tasked to rebrand Apple’s iconic iPod and devise an effective marketing-mix to breathe new life into the flagging sales of the once all conquering multimedia player. Budding Business & Computing entrepreneurs from Dunoon Grammar school participated in an exclusive Question and Answer session with senior executives of the successful technology company Spotify – to mark International Women’s Day on 8 March 2017. Dunoon Grammar was the only school in Scotland to take part and one of only four schools from across the UK involved in the event organised by Apps for Good.